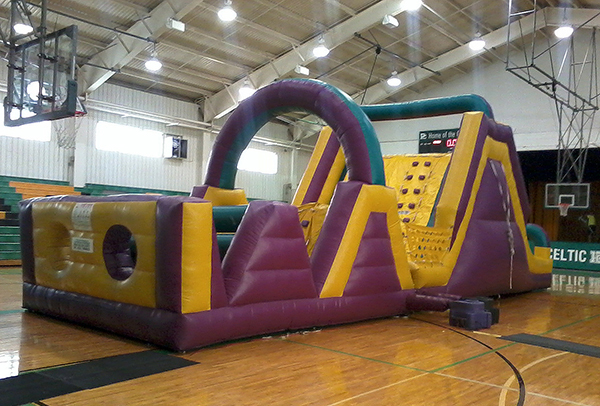 Our obstacle course is a 47-foot giant obstacle course where 2 people compete at a time. Be the first to get through the course and you're the winner! Ready, set, go! Test your rock climbing skills and be the first one down the slide to victory. It's great competitive fun.